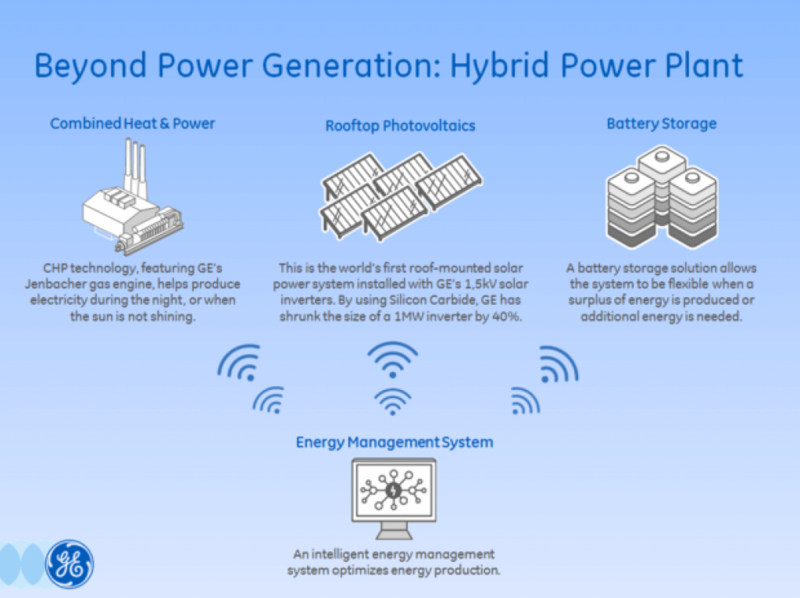 Along with solar PV and intelligent energy storage technology, combined heat and power (CHP) takes center stage in a Hyrbrid Power Plant GE has built to power its facility, households and local businesses in Berlin. Besides using PV and advanced battery technology to generate, store and dispatch electricity as demand requires the Hybrid Power Plant uses GE Jenbacher CHP technology to capture heat produced in various processes to heat water. 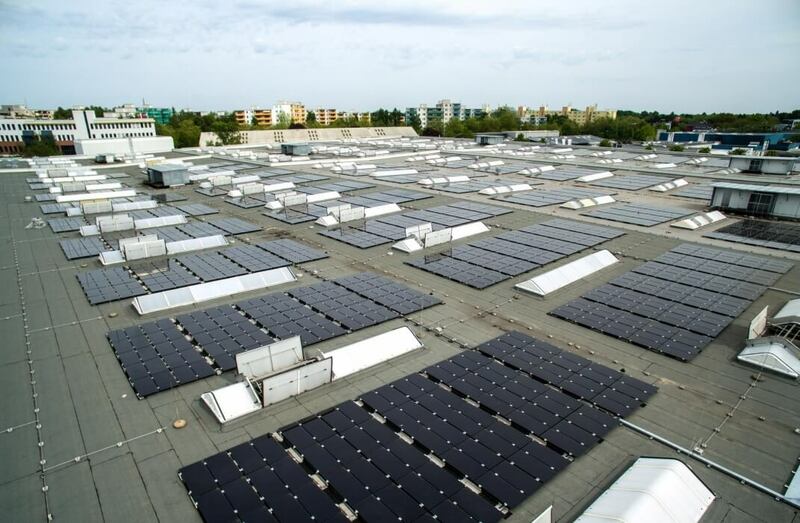 The system’s roof-mounted PV panels sit atop the GE Technical Learning Center, an event venue and convention center nestled within GE’s larger Berlin grounds where GE first established a presence in Germany. 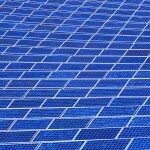 Conceived in-house, the need to find ways of synchronizing conventional and renewable power production to minimize fluctuations provided the motivation for what became GE’s project development team, Stephen Reimelt, president and CEO of GE Power Conversion, recounted on the company’s website. ¨Germany’s continued success as the world’s largest energy laboratory and market for innovation is because it has created an environment where ideas like this can be turned into reality,¨ Reimelt wrote. Commissioned this past May, GE Berlin’s goal is to use around 80% of the electricity produced by the hybrid power plant on-site and store 20% in order to serve as a baseload power source. Partnering with Belectric and Kofler Energeies it took a little over one year for GE to advance the Hybrid Power Plant from conception to realization. The project is also notable in that it’s the first roof-mounted solar power system to operate at 1,500 volts, making use of GE’s recently introduced 1.5kV solar inverters. Making use of silicon carbide (SiC) as opposed to conventional materials, GE managed to reduce the size of a 1MW inverter 40%, GE highlights. Akin to diamonds in composition and structure, silicon carbide is one of the hardest and most durable materials known. Significantly, it’s also similar to silicon in that it’s a semiconductor. GE engineers took advantage of those properties. Using silicon carbide, Reimelt explains, can reduce the size of a 1MW inverter capable of supplying power to 500 homes 35%. It also boosts power conversion efficiency 1%. Reimelt highlighted the importance of CHP in building local, decentralized low- and zero-emissions power infrastructure. 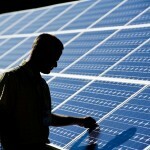 That hasn’t been lost on other renewable energy and cleantech industry participants, or pioneering end-users. CHP is the primary energy source at for the University of California, San Diego’s (UCSD) campus-wide microgrid in La Jolla, a 42MW system that also relies on solar PV and intelligent energy storage.